Yes, like most musicians, I’m also a cat-lover. For many years, I have had late-night arranging helpers. 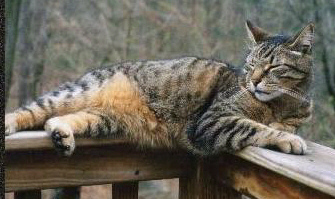 Milo, our most senior feline, was adopted from an animal rescue group in 2002. He loves the sound of barbershop music and migrates to any part of the house where live or recorded music of that genre is played. His size makes it difficult for me to get much arranging done when he decides to occupy my lap and block my keyboard. 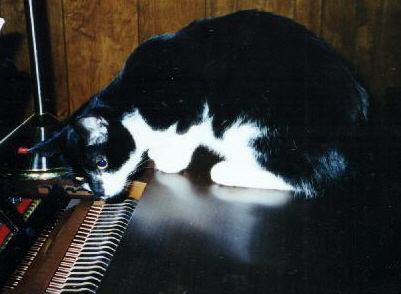 In September of 2011, we lost our dear Jasper, a black and white kitty who demonstrated intense interest in the performance and physics of music, particularly the keyboard. 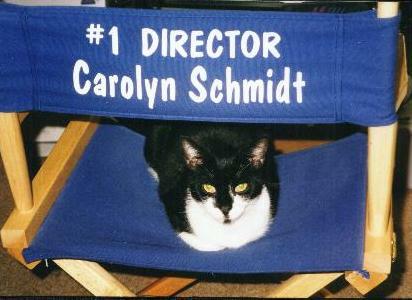 (He also indicated an interest in the art of directing). Jasper was an important helper in piano-side arranging activities, ‘talking’ to me and adding special chords and embellishments. 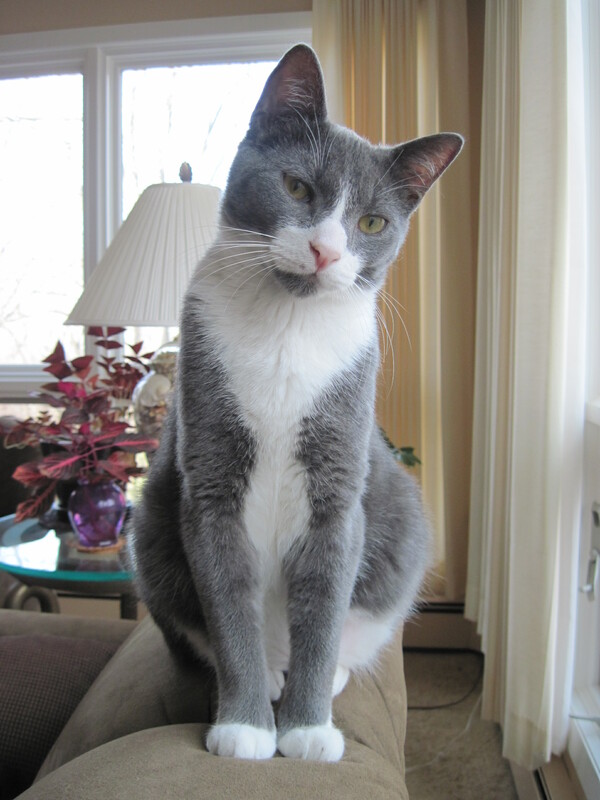 I’ve heard it said that the best way to show your love for a lost pet is to provide a home for another pet in need…..and so we adopted Yuri, a grey and white kitty who joined our family in December of 2011. While he shows limited appreciation for music, he provides good companionship for us all, including big brother Milo. He’s also an exceptional nap companion. One of our dearest kitties was Zippy, our female black and white feline friend, who ascended to kitty heaven after sharing our family life for over 20 years. We fondly remember this sweet little cat and her late night piano compositions! 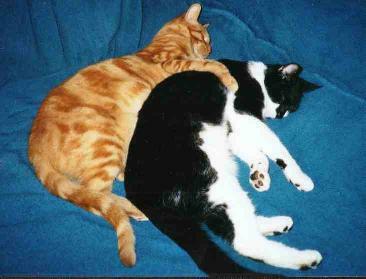 Tony, our ‘tiger’ cat, joined Zippy in the mouse field in the sky after living with us for 16 1/2 years. We found and rescued Tony, a feral kitten, living in a barn along with his mother, sister, and brothers. He shared Andrea and Lauren’s childhood and was a patient participant in childhood games. Andrea once sang to him, “You are my friend, you’re special to me,’ which summed up how we all felt. Here are some candid shots of the kitties!